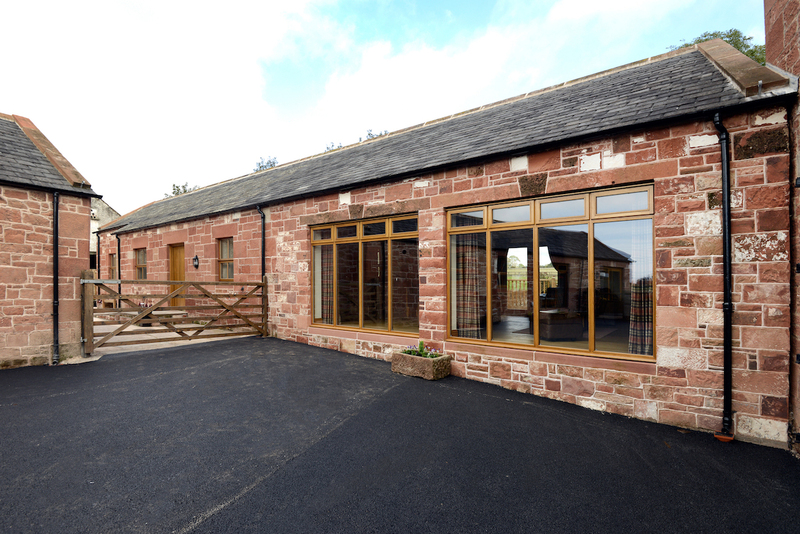 The Tackroom, as the name suggests is the former horse tack and store room which has been completely re-furbished and renovated to the highest possible standard. 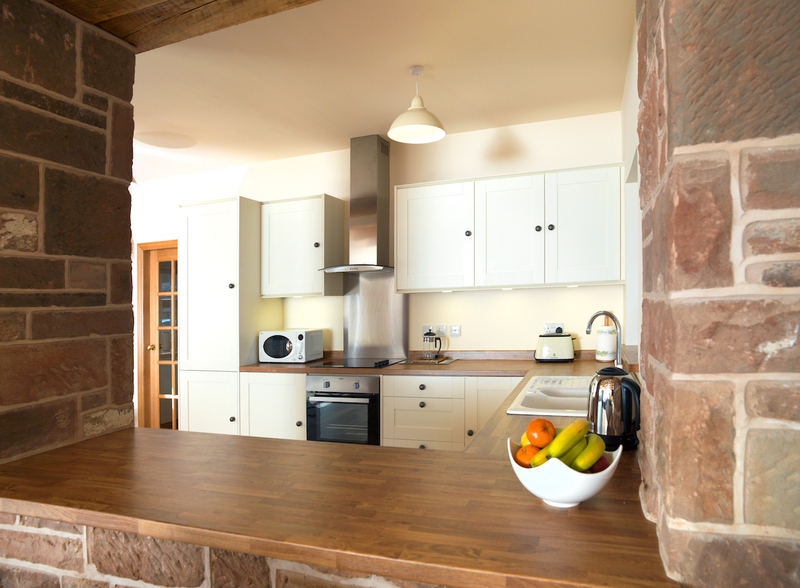 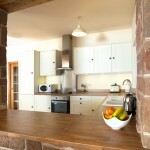 This two bedroomed luxury holiday cottage comes fully equipped with everything required for a comfy, cosy retreat. 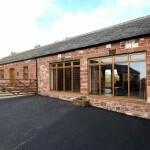 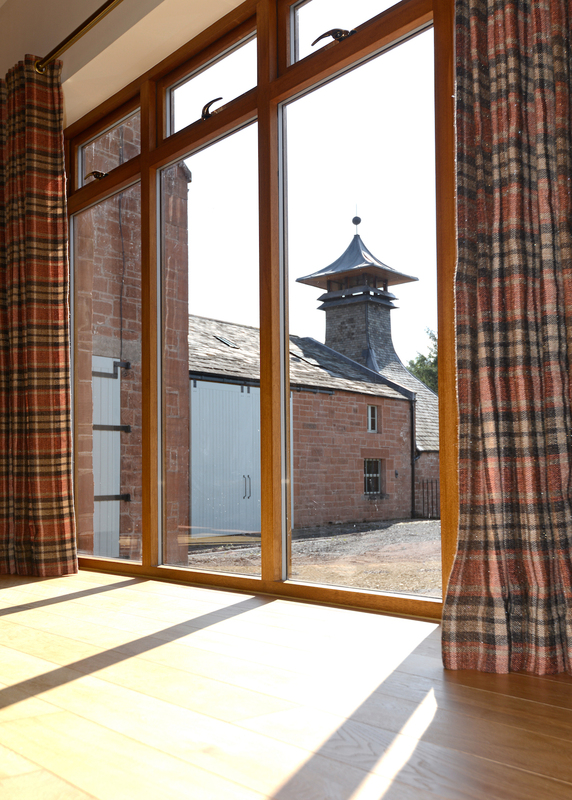 Distillery Holiday Cottages are situated in a quiet, enclosed courtyard with outdoor seating, outside tap and secure lockup for safe overnight motorcycle/cycle storage. 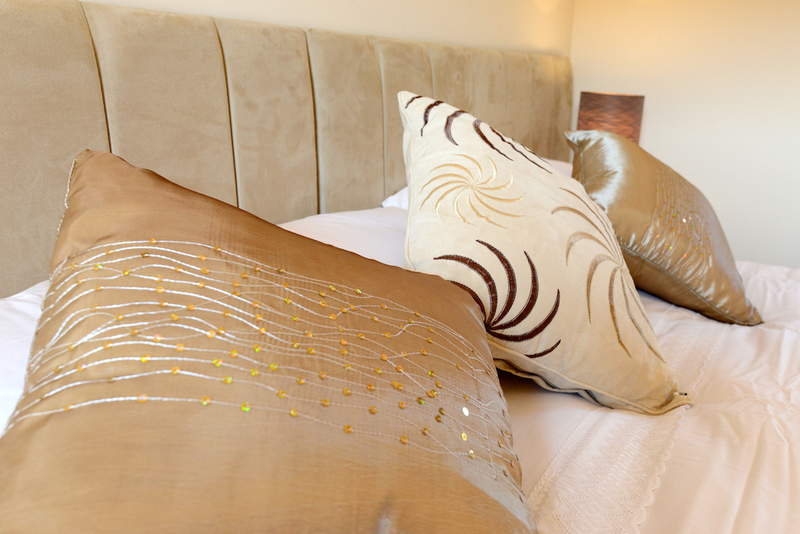 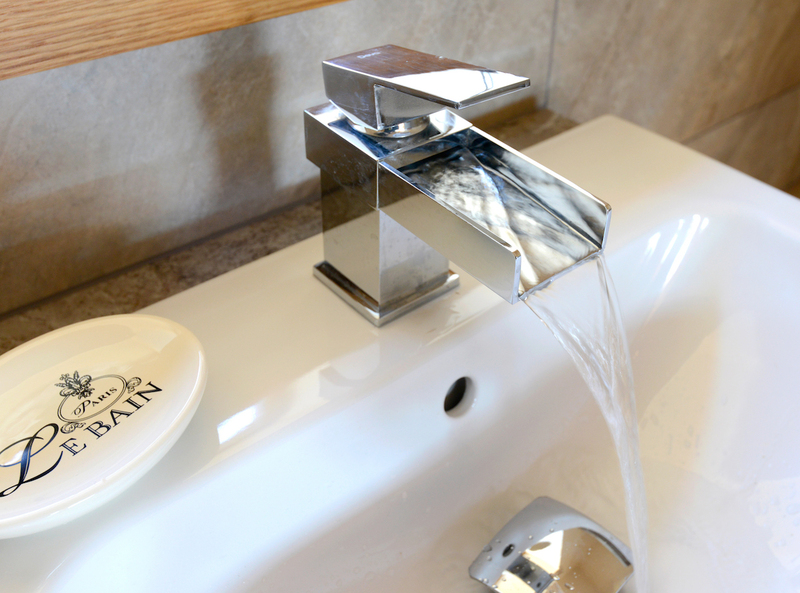 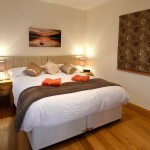 All fuel, heating, electricity, bed linen, towels, bathrobes and WiFi is included in your booking. 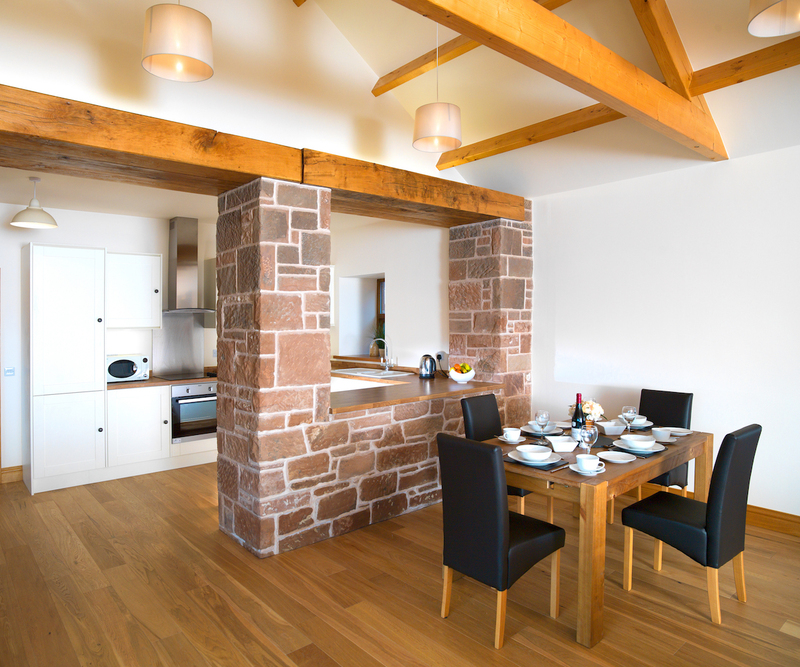 Open plan kitchen, dining room and lounge. 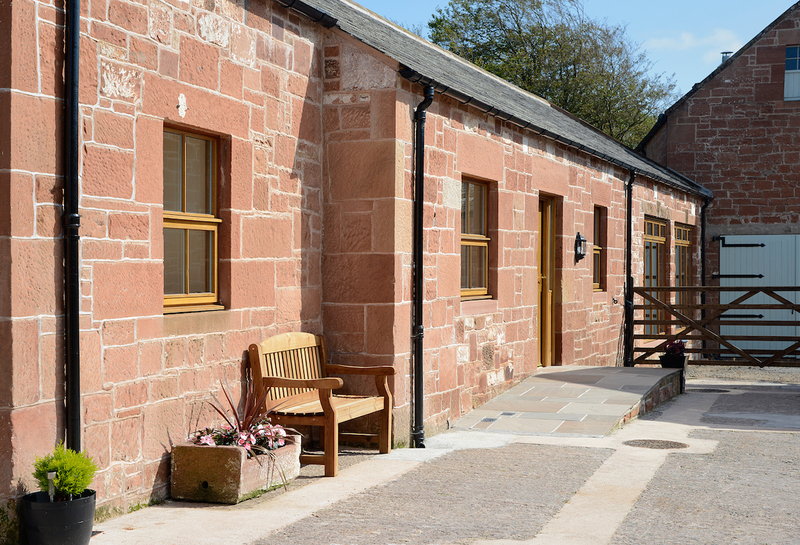 There is ample parking available and we have suitable access for people with restricted mobility as well as being fully suitable for wheelchair users. 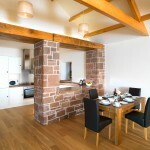 Fully fitted with hob, oven, microwave, integrated fridge & dishwasher and washer/dryer machine and lots of worktop space. 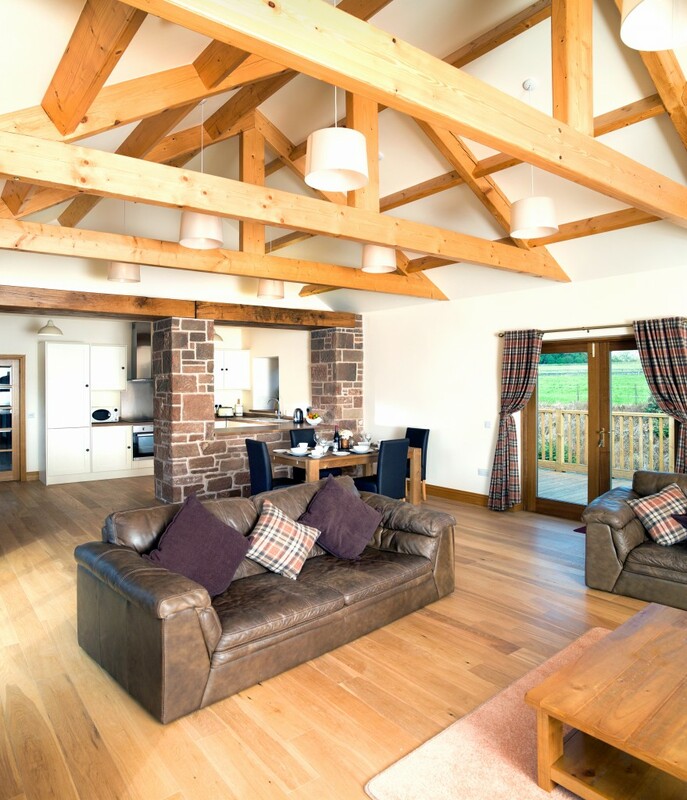 Large lounge with leather seating for five/six, large wall-mounted flatscreen TV with freeview and BT Sport and French doors leading onto a large outdoor decking area. 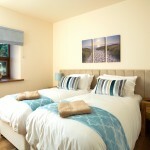 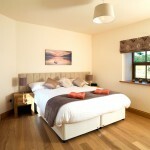 Available as either a Super Kingsize bed or twin beds (please state preference when booking). 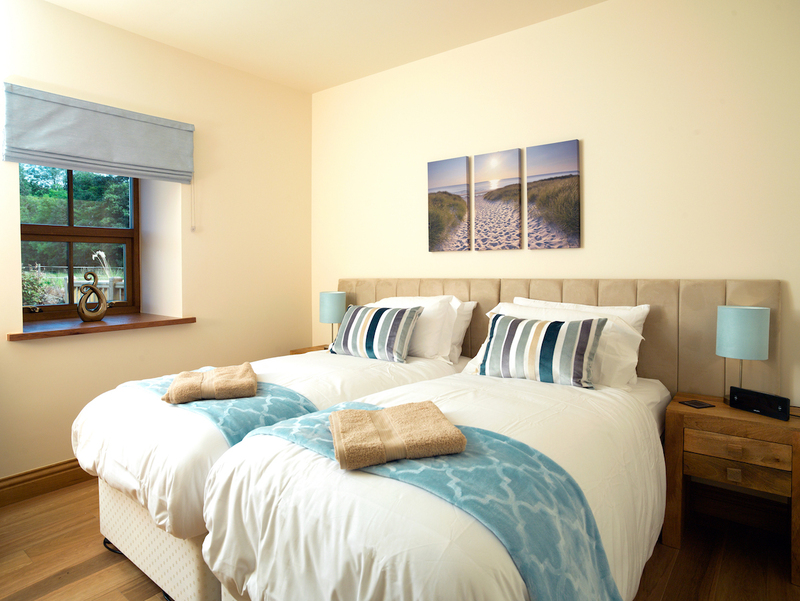 Fitted wardrobes (with shelving, drawers and hanging space), dressing table, flatscreen TV/DVD, radio alarm clock and hairdryer. 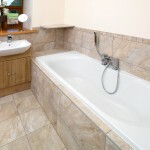 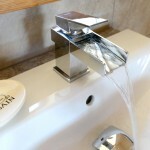 Double ended bath with shower head, large walk-in shower with rainforest and second shower head, WC & basin. 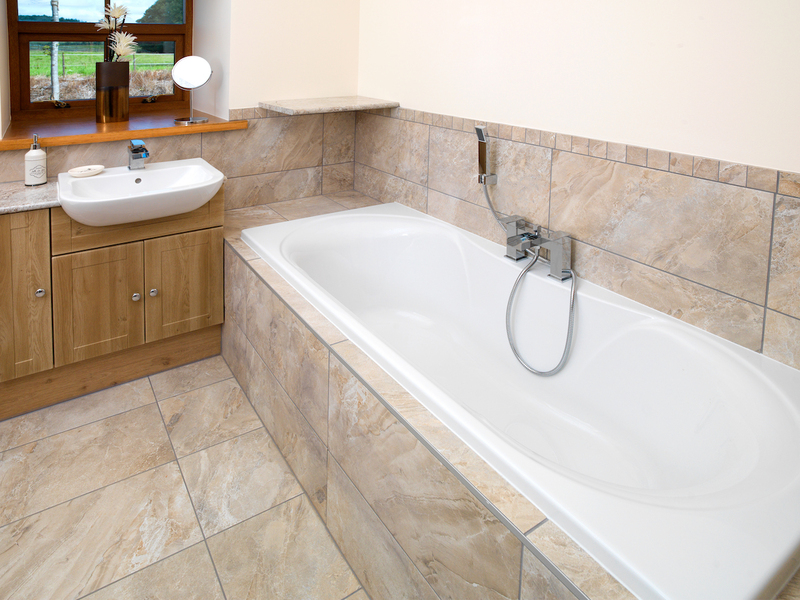 Non-slip tiles with underfloor heating. 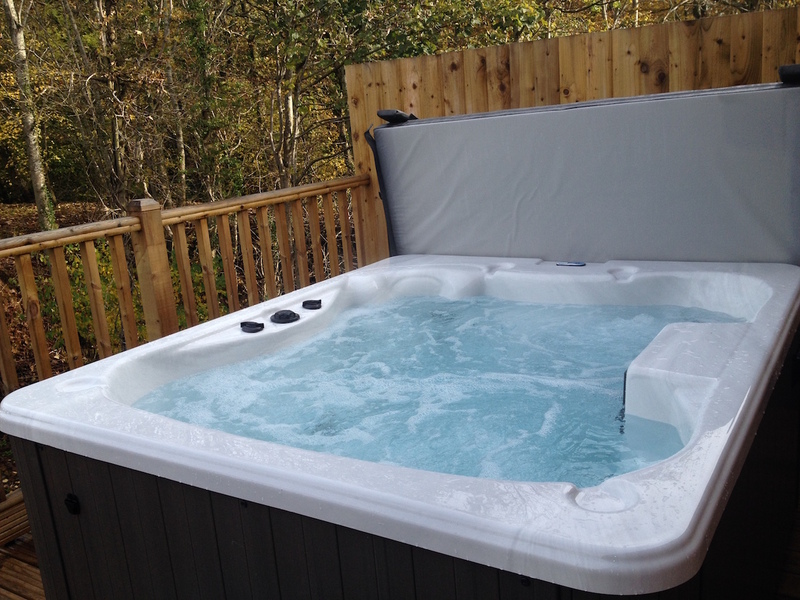 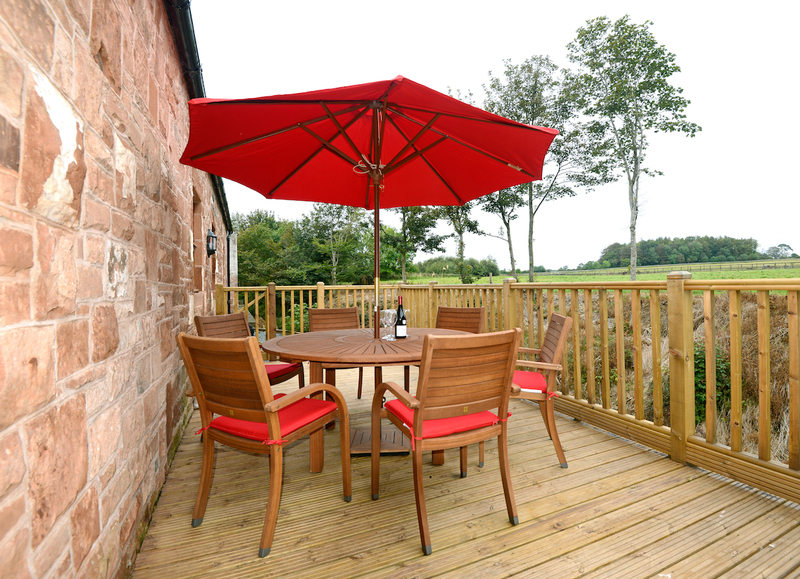 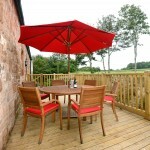 Large decking area with access from lounge with garden furniture for six, gas barbeque and private outdoor hot tub. 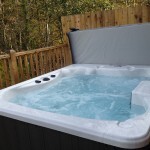 Guests relaxing in the hot tub can enjoy views overlooking the stream which runs down from the original water wheel house and the surrounding fields and woodlands. 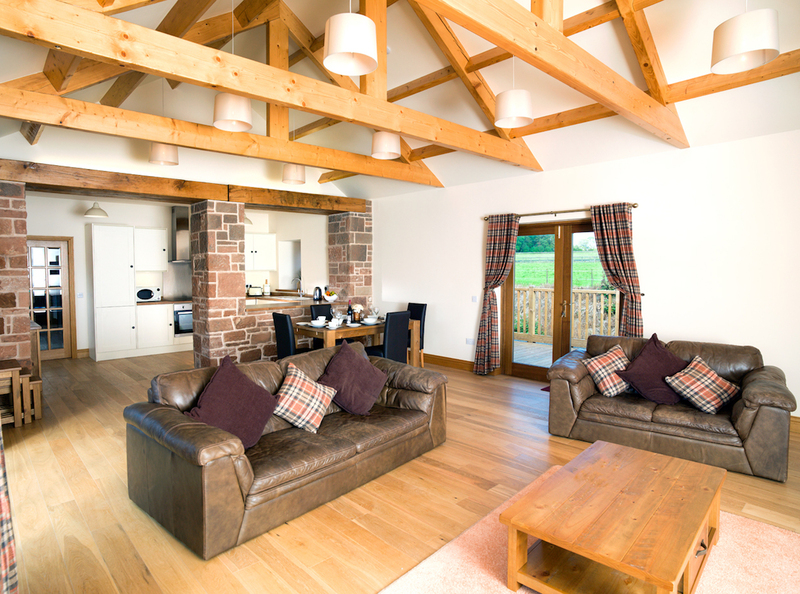 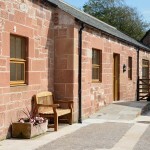 7 night bookings available from £575, depending on season and availability. 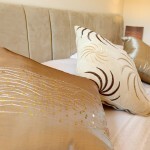 Please contact us for any booking enquiry. 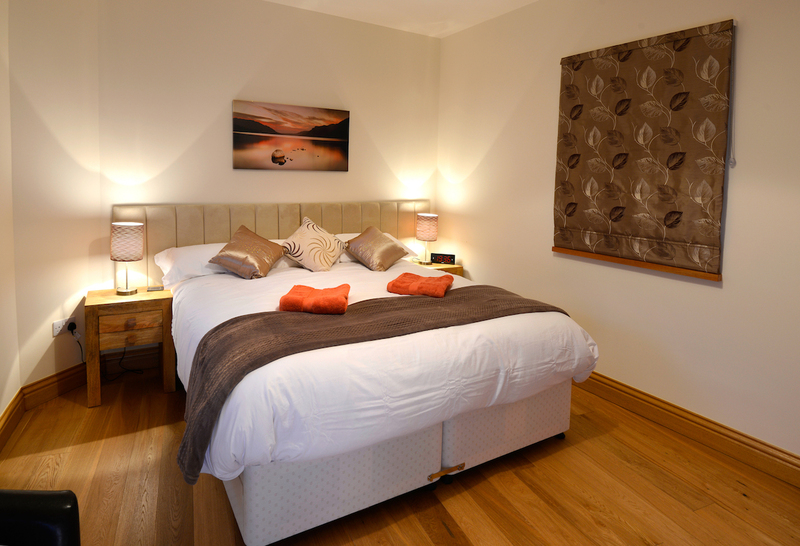 Rates offered elsewhere, particularly online, can and do vary so we encourage guests to book directly with us wherever possible. 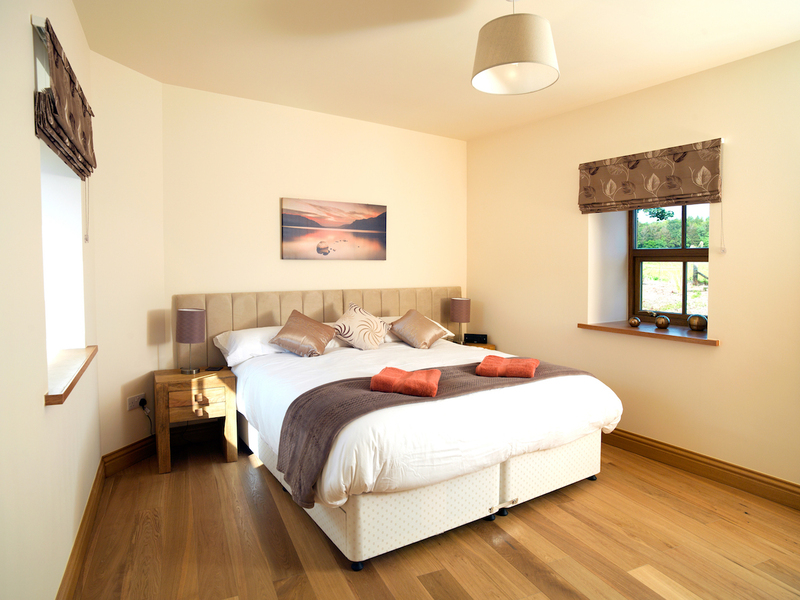 We promise that you will receive our best publicly available rates for bookings made directly with us via phone or email. 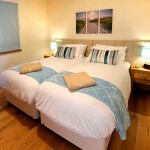 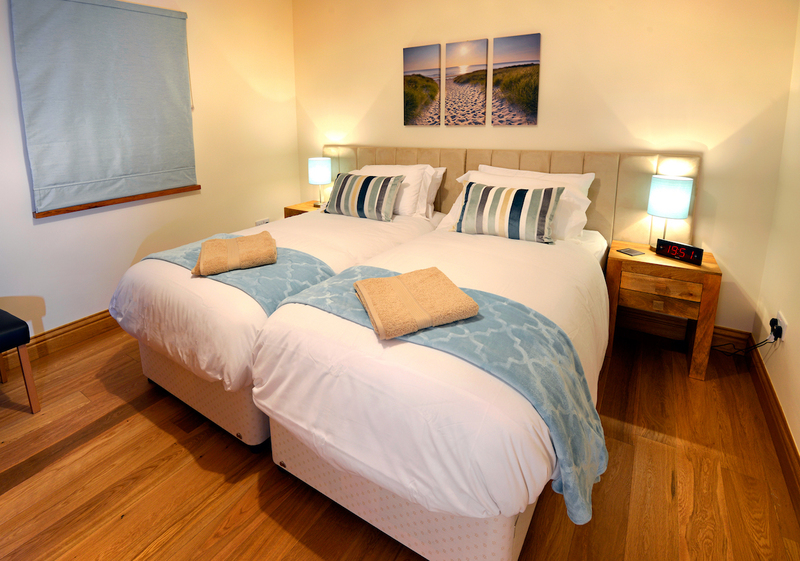 Alternatively, we have also partnered with Holiday Lettings for those who prefer to book online. 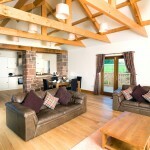 Please click the link below to be taken directly to the online booking form. 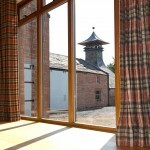 Thanks for your interest - we look forward to welcoming you to Distillery Cottages soon.